CAUTION: The most important step for this recipe is to check if your scallops are fresh. You can check this by smelling them, fresh scallops should emit an odour that is slightly sweet. Look at it to check that they are having a light cream colour, and have little surface moisture on them. The scallops should feel firm and relatively dry. Throw out scallops that are slimy, rubbery or off-color. If you’ve checked the scallops, continue with the rest of this recipe. OPEN up the scallops using a flexible, long knife. START with the flat side and cut all the way to the back, while keeping your knife as flat as possible. LIFT up the other side of the scallop. You can use a spoon or simply your hands to get the scallop out from the other side. GET rid of everything except the white, thick musle. Carefully clean out the scallop muscle, rinse off and pat dry using a clean kitchen towel. 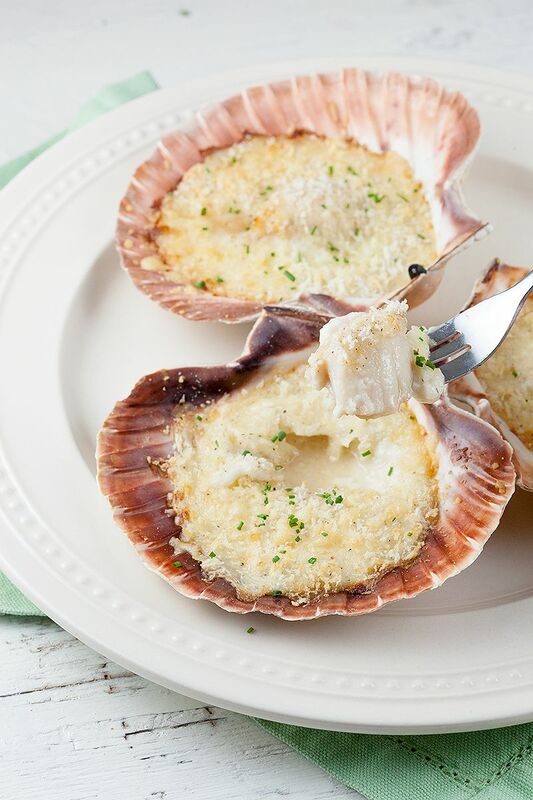 CLEAN out the scallop shells, since we’re going to present this dish in it. PRE-HEAT your oven to a temperature of 210 degrees celsius, or 410 degrees fahrenheit. While your oven is heating up, prepare the bechamel sauce. MELT 25 grams of butter in a small saucepan on low heat. ADD 30 grams of flour and keep whisking until a thick roux forms. GENTLY pour in the milk, while stirring with the whisk. Add milk until the bechamel sauce is thick enough. By the way, you can check out our recipe for a classic bechamel sauce here. STIR in a few pinches of grated nutmeg and turn off the heat. HEAT up the small skillet on medium-high heat, add in a small knob of butter and wait for it to melt. BAKE the scallops on each side for about 2 minutes, don’t stir! POUR in a little bit of white wine and let most of the moisture evaporate. 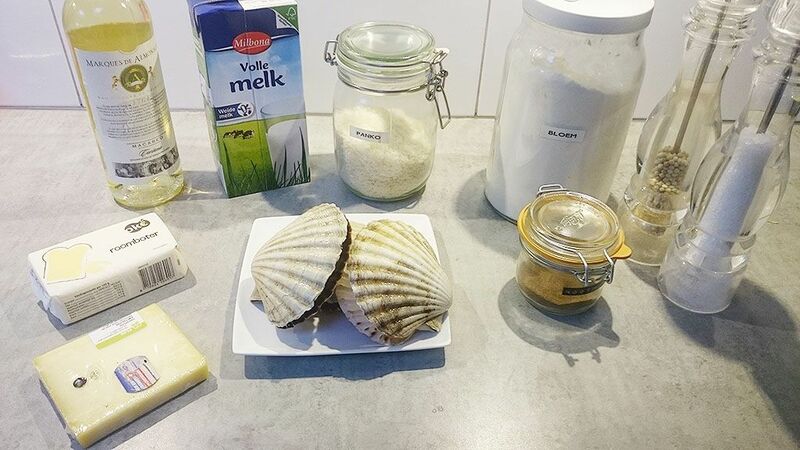 TURN off the heat and transfer the scallops to a shell. 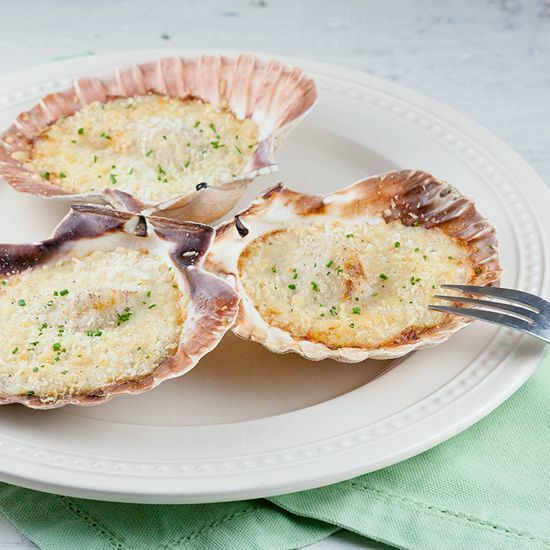 GRAB the deep side of the scallop shell and place the prepared scallop in the middle. GENTLY pour in the bechamel sauce, add grated Swiss Gruyère cheese on top along with some breadcrumbs or panko. SEASON with some salt and pepper, repeat for the other scallops. 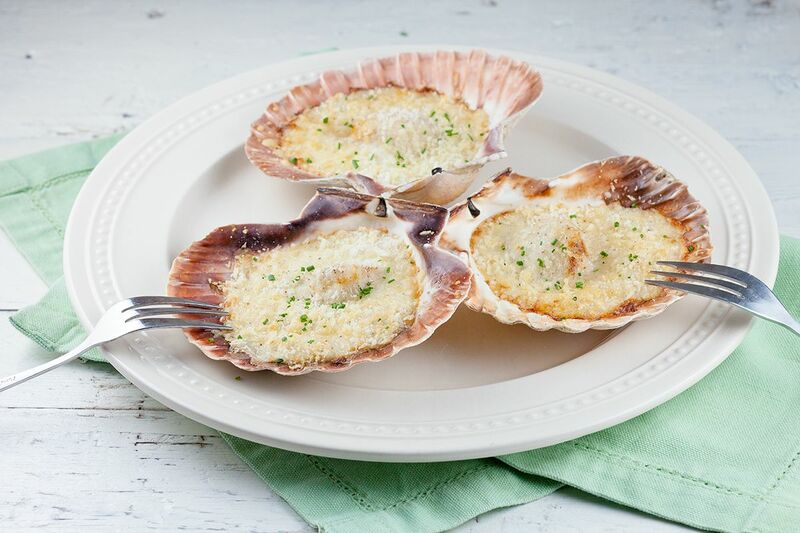 PLACE the scallops onto a pre-lined oven tray, and bake in the oven for 10 minutes. Serve immediately, enjoy! How much white wine should I use? Hi Samantha, not too much. About 1.5 tablespoons of white wine. It will evaporate quickly so a bit more is okay! YUUUMMMMM. I was looking for dishes to pair with fancy chardonnays. This is IT! Oh yes, that’s an amazing pairing! Thanks!